This is a neat example of harder to find TYII $20. Just about everyone we have seen so far has been dirty or harshly banged up. This coin is not an should be the poster child for this grade! It is quite honest to say, this coin has not been subject to heavy scrapes, hits, or annoying lines. The few contact ticks are light and are scattered. The surfaces actually do appear pretty clean. A decent luster is visible. There is no question this coin has never been dipped or messed with (very rare). Both sides are a deeper gold with highlights of deeper pinkish gold by the rims. Miss Liberty and the details display surprisingly good strikes and only light wear. There are NO discolorations on the high points. The eye appeal is really nice! PCGS 28, NGC 84, CAC 9. 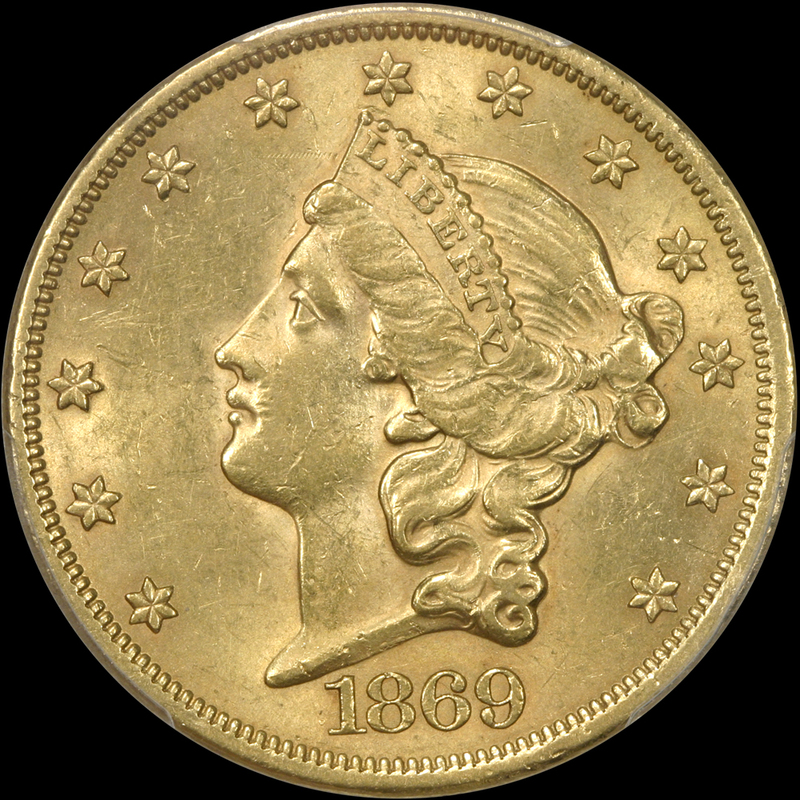 PCGS has graded only 2 AU58+. 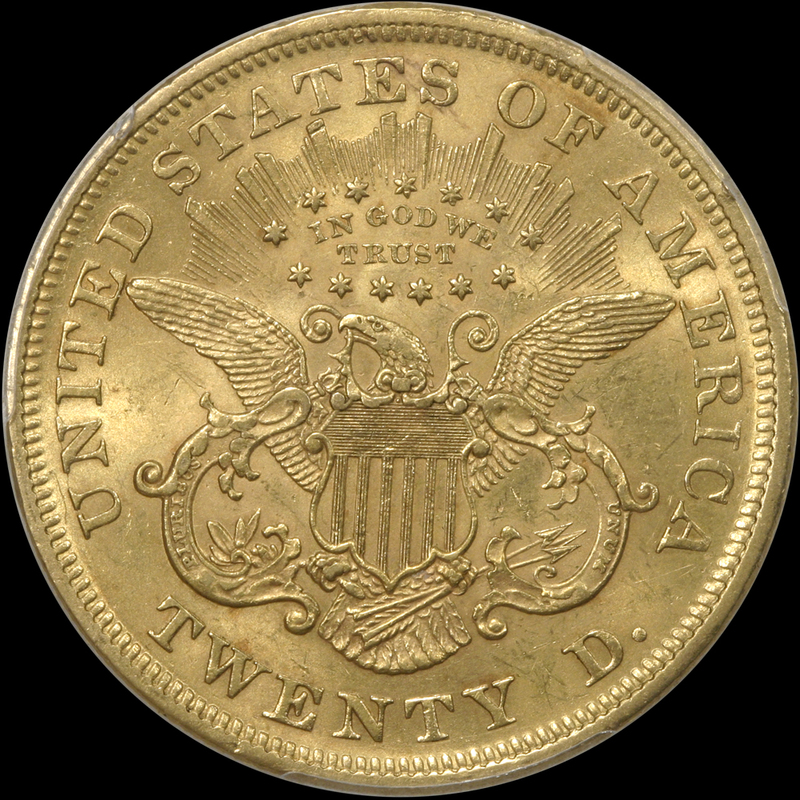 This coin has no record of being sold in any major auction. Do NOT be fooled by the pops. This is NOT a commoner coin by any means-especially looking this nice.